Hi all! In an effort to keep myself accountable and monitor my carbloading, here is a list of everything I had leading up to the race. I went completely gluten free the whole week and went into the race feeling good. Overall, I think I carbloaded well. I did not get a bad stomachache or felt too full. I do think I need to rethink my fueling strategies during the race. I felt very sick and had stomach cramps throughout most of the race and after I couldn’t eat anything with being in pain. I think the problem is coming from what is essentially carb cycling (low carb and high carb days interchanged) and I am hoping my body is becoming fat adaptive. But with this fat adaptive strategy, I am still using sugar to fuel my long runs so my stomach is not happy. I would love to switch to fat adaptive strategies (using peanut butter, etc for fueling) but I need to have a few months to work on it and I am in high training time until at least mid-January. I may work on it then (depending on how I feel after Dopey and Rebel Challenge) or it may have to wait until after the LA Marathon. We will see! Any one fuel with fat during races? I have had my magic bullet about a month and I LOVE IT!!! I can't believe I lived so long without one! It has made my life so much easier. It is smaller and easier to deal with than my blender and also better quality too. The whole process is about 2 minutes and it is awesome. I also use it to make my boyfriends shakes, my bulletproof coffee and even chop blocks of cheese. (Cheese is so much cheaper when you chop it yourself). Do you have a magic bullet? What else do you use it for? So fast! So healthy! So cheap! How Should You Carb-load Before a Race? This week's topic is Blogger's Choice so I am going to talk about my carbloading lately! As you know, Carb loading is my favorite thing about the pre-race build up. I usually limit my carbs to just fruit, yogurt and other “natural” carbs during regular eating. This topic is super important as I gear up for doing back-2-back-2-back-2 back (4 days! insanity) training runs for Dopey. I need to figure this out now so it will be automatic by the tie I start doing those in November. I came across an article Jeff Galloway posted in his newsletter from Nancy Clark about why Runners Don't need to Stay Away from Carbs. and sugar. For me, carbs includes grains, fruits, vegetables and all forms of sugars and starches. too few carbs, your muscles will feel needlessly fatigued. I agree with this sentiment. Many people freak when I used to say I was eating "low carb". I have since said I eat "low grain" and get most of my carbs though fruits, veggies, milk and other things. Now the question is, how many carbs do we need? According to the article, it depends on your body weight and the amount of exercise you do. To me, this seems like a TON of food. That would be upwards of 400-600 depending on what type of running I would be doing. However, when you look at the food the article recommends, it is actually seems pretty doable. Below is 440 carbs for the day. Another thing the article notes is that to replace some food would take a lot of fruit and veggies. 84 grams from 1/4 box of pasta= 3 c cooked zucchini squash sautéed with 1 large onion (45 g carb) + 2 c cooked kale (15 g) + 8 spears broccoli (24 g). These also make a lot of sense to me. For normal workouts (where I just do 30-45 minutes of running or weights or yoga), I think I am good on the carb front. However, I have found when I do mini-carb loads before longer runs (really anything over 4 miles), they are easier to do. For my last 2 races,I kept track of what I ate so let's look at it! Overall, I think this strategy worked well. I did not hit a wall, but I would have liked to rest a bit more the day before the half. NOTE: I was not feeling the greatest from dinner at Jack in the Box (DO NOT RECOMMEND) but I did end up carbloading well as I PRed with the fastest times I have ever run in my life. However, 270 before a 5k is a bit excessive. I definitely would do better quality carbs for the next round. I liked the idea of doing a small carbload the day before a 5k if you are racing your heart out. Overall, i think my carbloading is pretty good. I tried a few months ago to try and carb load without veggies and go 80% carb and it did not work. My body did not like it and I broke out like crazy on my face. I have just added carbs naturally to my meals a few days before and then the day before the race focused on drinking powerade and adding carbs. I still love my fruits and veggies. However, compared to the numbers, I am still below. I eat pretty low carb during the week so I feel like even though it is below that 400-600 number, it is still a lot more carbs than my body is used to. I have found it has helped to add sweetener as a way to get in more carbs. I will track for this week (4 runs-3 miles, 3 mile, 4 mile, 15 mile) and report back with how the carbloading goes! How do you usually carb load? According to Kyle Pfafflebach, there are 10 foods he would recommend for runners. **salmon and eggs are complete proteins (contain all 9 essential amino acids). Protein helps with recovery from workouts. To me, these all make sense and I have been trying to work on incorporating them more into my diet especially on CARBLOADING weeks like this one. I eat mixed greens, eggs and nuts every day. I add group 1 when I&apos;m CARBLOADING before a race to fill glycogen stores. I add fruits and veggies everyday and increase that as high training miles get closer. What does everyone else think of the list? ITS HERE! Well almost! tomorrow morning at this time hopefully i will be well into my 26 miler! I have been carb loading correctly (1-2 servings per meal, per day) and I feel great. Healthy and not too full and feel ready to run!! However since I have to work today and then go to a birthday party, I had to prep for my 26 miler last night. 1. OUTFIT- what are you going to wear? Do you need layers? I have my outfit I think I want to wear for the race. I will be testing it out with a hat as well. 2. IPOD-is it charged and ready to go? 3. BREAKFAST- is everything prepped? I will be having my usual bread with peanut butter and coffee and banana. i may also have a bit of powerade as well. i need to eat as soon as I get up so I can digest and have time to get ready. Alarm is already set for 6! 4. FOOD DURING RUN- what do you need to eat during the run? 5. FUEL DURING RUN- how much fuel do you need? I have decided to fuel every 4 miles (which will average out to about every 45 minutes which is what is recommended). I will be doing my full run at the rose bowl (9 laps!) so I will pass my car every 3 miles for refills/touchups. I will run with 3 shot bloks in my top, an emergency gel and a water bottle every once in awhile. i will take sips of powerade when I pass my car. 6. DRINKS DURING RUN- what do you need? 3 L of water (plus 2 water fountains on course), 3 powerades (which should 4-6 oz every few miles) and homemade gatorade for my recovery after. 7. FOOD AFTER- what will you eat to recover after? 8. A PLAN-how often will you fuel and when? as i said, every 4 miles. i can decide after if it is too much/too little but i think it'll be good. i will be doing a 2 min/40 sec run/walk as i had a very successful training run with that interval on thursday. 9. MISC-what else could you need just because? What do you do for prepping long runs? 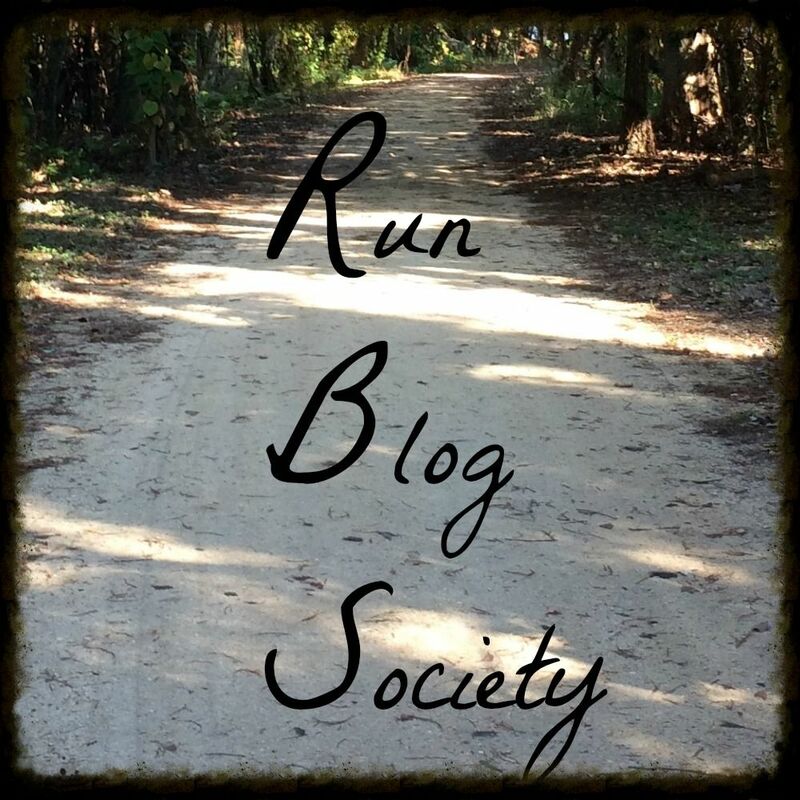 Welcome to the 2014 Princess Half Marathon virtual run disney blog meetup! Welcome if you are new here! Click on the picture above for links to other posts! A bit of history about my run Disney experience! I first ran the DL half in 2010 and loved it but got very injured. I trained much better in the future and have run the tink 2012-2014,DL half 2012,dumbo 2013, and Princess 2013 for my first coast to coast. My future races are glass slipper challenge 2014, dumbo 2014, and hopefully wine and dine 2014 and dopey 2015! My first marathon is coming up in one month:LA marathon! Everyone knows going to WDW, one of the most fun things to do besides deciding where you are going to stay, is deciding where to eat! With preparing for a race weekend, it is even more crucial because of the carb-loading that traditionally takes place the night before the race. After consulting Mark's Daily Apple and Runner's World, I realized I need to carb load earlier than 2 days before because it can take 12-24 hours for the carbs to be "ready to use". All you need for carb loading is an extra serving or two of carbs at each meals for 3-4 days before the event. I also learned in the Tinkerbell Race Guide that carbs eaten need to be consumed about 12 hours before race start time. Carb loading can take any form: vegetables, root vegetables, potatoes, rice, quinoa, couscous, bread, pasta, tortillas, etc and luckily there are a ton of restaurants in WDW. I will be highlighting 2-3 in each park and a few from the hotels. Honestly as long as there is some carb-pasta, bread, rice, root vegetables, etc you are okay ;) just know the places that specialize in pasta will be very busy! PRE-RACE with a focus on carb loading. Liberty Tree tavern -mashed potatoes, Mac n cheese, root vegetables, and a buffet! Be our guest-if you can get in! Italy -pasta and bread galore! 1. Make a reservation ASAP. At WDW, you can book 180 days (if you have a hotel reservation, you can do 180+10 which means from the first day of your hotel reservation you book 10 days out). And restaurants fill up quick especially if it's free dining! 2. Make the reservation for an early dinner for pre-race. This is twofold: less people want to eat dinner at 5pm(easy to get a table) and also it allows you finish your meal and head back to your room with time to digest and also get to bed at a decent hour. Those 3am wake up calls come early! 3. Know who is going to reservation. Making a reservation that early is risky as not everyone may know if they are coming, where they will be, etc. Take count of who is in and make a reservation. It's getting harder and harder to change reservations with MyMagic+ so keep that in mind. You don't want to miss out on getting the reservation you want because people were lagging it. Oftentimes I read menus to know what I may want to order. I do this so I won't be unprepared and also know what can be gluten free (oh my new gluten problems). Also, it helps speed up the process as many traditional carb load places are packed! Last year we ate at wolfgang puck and the kitchen actually ran out of certain types of pasta! Our meal took forever and we ended up taking a cab back to our hotel because the bus took forever and I didn't get as much sleep as I was expecting to. It can always take longer to get around WDW then expected. Make sure you allow 60-90 minutes to get where you are going. For in the park reservations, make sure you plan a few hours in the park that day. If it's at a hotel other than yours, really research how and when to get to and from. You don't want to be stuck trying to get back to your hotel. If it's at your hotel-all you need to decide is what time to be back at the hotel and if you want to dressed or wear pjs to go and eat! You need to ensure you get enough sleep so it's best to work backwards. Determine what time you need to get up, the amount of sleep you need, prep time to be ready, transportation back to the room and viola-you have the window of your dinner time. Usually it's between 5-6 are when you need to eat. POST-RACE with a focus on celebrating! Flame tree- best food so it's worth it all the time! Any restaurant- honestly anywhere would be fun! 1900 park fare- character buffet! Here is a great post by my cousin and running partner on Post-Race Cocktails! 1. Make reservations early just as above! 2. Decide how you want to go. Personally I want to eat as quick as possible and not worry about a shower until later (I'm weird-I can't shower right after) so we always go to breakfast and the head back to shower and nap. Some people like to go straight to somewhere in Epcot. Some like to have a quick meal at the hotel after a shower then go celebrate for dinner. None is correct-it's what works for you. Just know many of the hotel shuttles have very long lines (depending on finish time, you can take the regular buses). No matter what bring your ID, park pass and credit card (or just bring your magicband!) as plans can change quickly. For example, last year we wanted to go and shower then head to Kona. Didn't happen! We went straight to kona didn't have our tickets or IDs with us and it was a bit of a scramble to get back. 3. Schedule a nap time. You just ran 13.1 miles and burned over 1300+ calories and got up at 3am. You are going to be exhausted! Make sure to nap a few hours so you don't crash later. Even a short 1-2 hour nap will do the trick. 4. Wear your medal around the park! Be proud of your accomplishment. We always go and do a photo shoot with the castle, partners, the princess and Mickey. And they turn out so cute! People will congratulate you so be ready! The medals are heavy so don't feel the need to wear them all the time especially if you have multiples! Eat a piece of cake, have a drink or two, go dance (well-maybe not...). Finishing a half marathon is no small feat. Be happy! And also attend the DTD party. I will be there. If you see me, say hello! What are your pre and post race favorite places to eat?